Pan fry trout for 6 minutes each side or until flakes easily with a fork. Remove from heat, cool. Remove skin and de-bone. Add remaining ingredients except Italian bread crumbs. Mix well. Shape into 3 inch round patties. Roll in Italian bread crumbs. Fish cakes can be baked in 350 degree oven for 25 minutes or pan fried until golden brown. 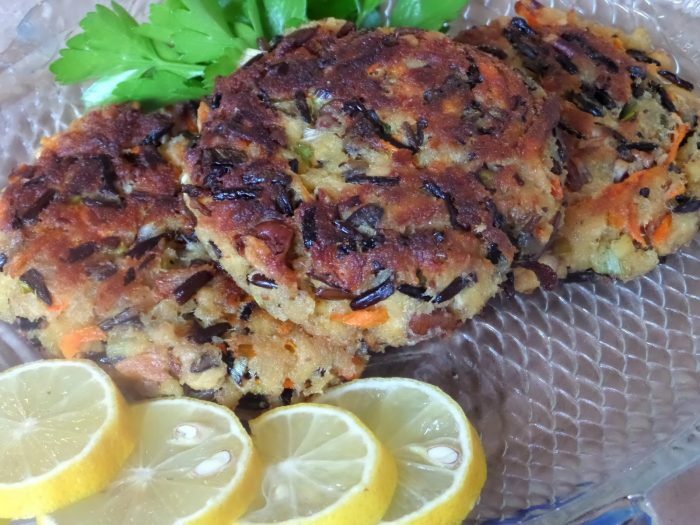 Fish cakes can be frozen (unbaked or fried) for 6 months.